Sweden has been an active member country in ITEA since its beginning in 1998. Over the past few years, the participation has been increasing very fast and Sweden is now 7th in terms of effort per country in the ITEA 3 programme. This high level of involvement and dedication have led to the wish to strengthen the ITEA Board with an additional Swedish member. 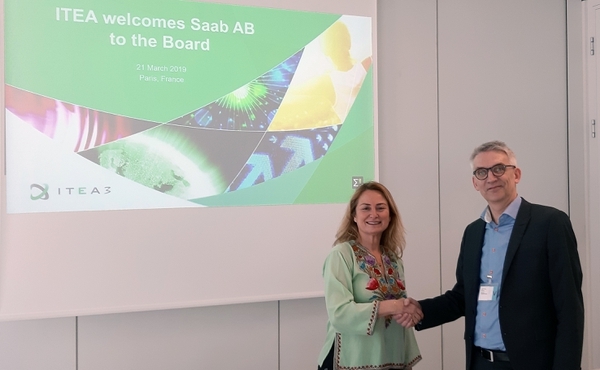 Saab AB was very pleased with this opportunity and its application was unanimously approved by the ITEA Board. 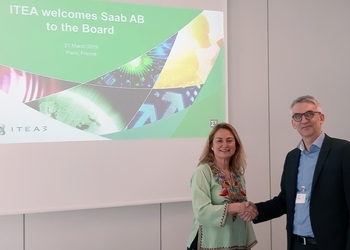 On 21 March, Stefan Andersson, Director Future Aircraft Systems at Saab AB and Zeynep Sarilar, Chairwoman of the ITEA Board, officially signed the Deed of Accession. 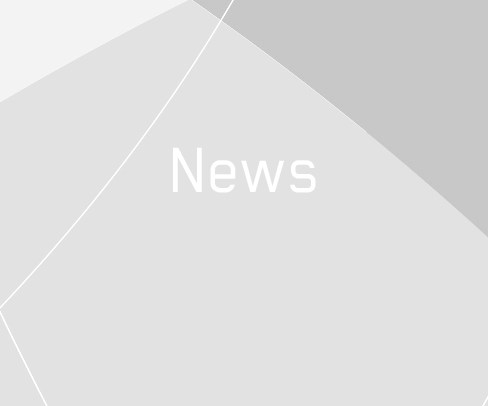 Register now for the ITEA 3 Call 1 Project Outline Preparation Days! ITEA & ARTEMIS Co-summit 2013 Save the date!